The Czech Republic's flag carrier is the latest airline to choose ParkCloud to grow its ancillary offers. Travellers booking flights with Czech Airlines can now make reservations for an airport parking space at the company’s web pages or directly at okparking.cz thanks to this partnership. Czech Airlines has been in operation since October 1923, making it one of the five oldest airlines in the world. 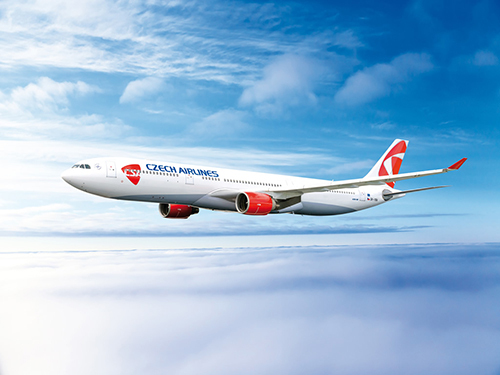 A member of the International Air Transport Association (IATA) and the SkyTeam Alliance, Czech Airlines offers its customers a broad selection of destinations at a high frequency, and connecting flights to anywhere in the world. ParkCloud is very pleased to be working with Czech Airlines to grow their extra ancillary offers for customers. With a co-branded white label and touch points on the Czech Airlines website, the collaboration enables passengers a smoother journey. With 2.8 million passengers annually, Czech Airlines require the spaces and ParkCloud provides them. Partnering with airlines allows parking operators in the ParkCloud Network to benefit from exposure to a large and diverse audience, whilst the airline benefits from access to a ready-made parking network to help complete the itineraries of its clientele.